Fall is upon us, which means it’s apple picking time and it’s also National Bourbon Heritage Month! 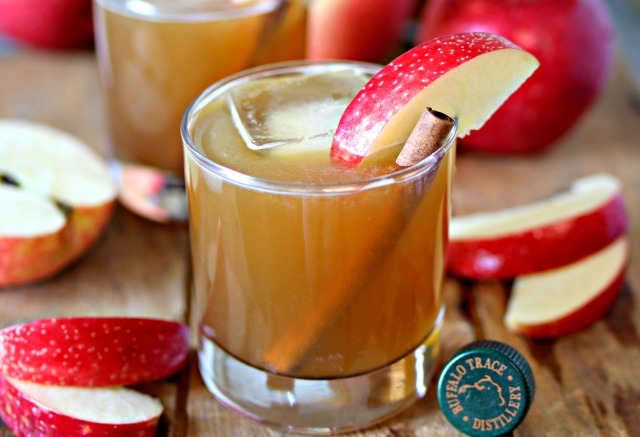 So, grab some apple cider and your favorite bourbon, and make this Bourbon Apple Cider Cocktail. It’s the perfect drink for fall! Here in Kentucky, the weather is starting to mellow out a little bit and the leaves will be turning soon. At the first signs of fall, I start craving all things apple, cinnamon, pumpkin and of course…bourbon! September is also National Bourbon Heritage Month, which basically means that we should celebrate bourbon in every way possible, right? 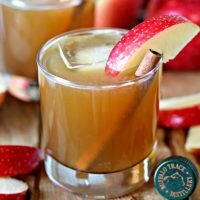 It seems fitting that bourbon and apples would go together well, and this bourbon apple cider drink is absolute perfection. It’s got the perfect blend of bourbon, apple cider and a little hint of cinnamon and ginger too. Matt and I will be enjoying this lovely concoction this weekend while we sit around our fire pit! What’s in a Bourbon Apple Cider? How Do You Make a Bourbon Apple Cider? Add apple cider, bourbon and lemon juice to a shaker. Shake well and pour into a glass. Add a large ice cube or a few regular ice cubes. Top off with ginger ale. Fall is upon us, which means it’s apple picking time! 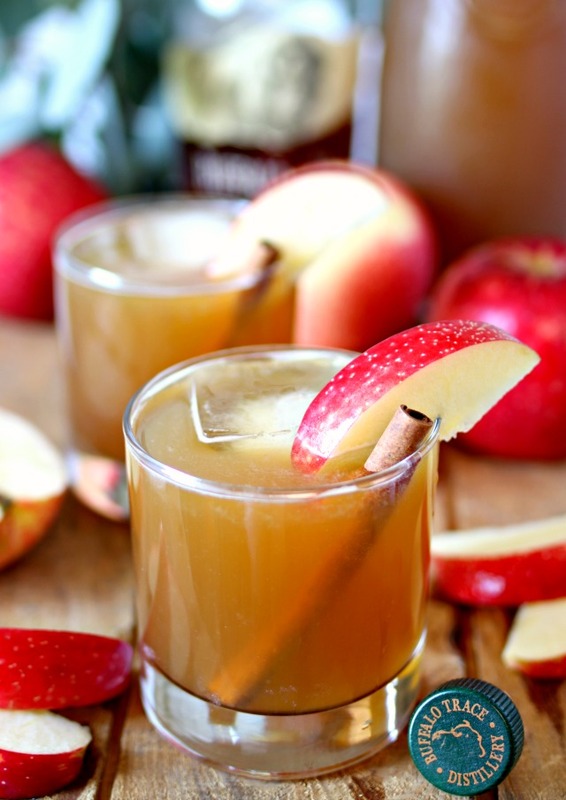 This Bourbon Apple Cider Cocktail is the perfect drink for fall. Apple cider never tasted so good! We hope you love this bourbon apple cider cocktail recipe as much as we do…read on for more amazing cocktail recipes! 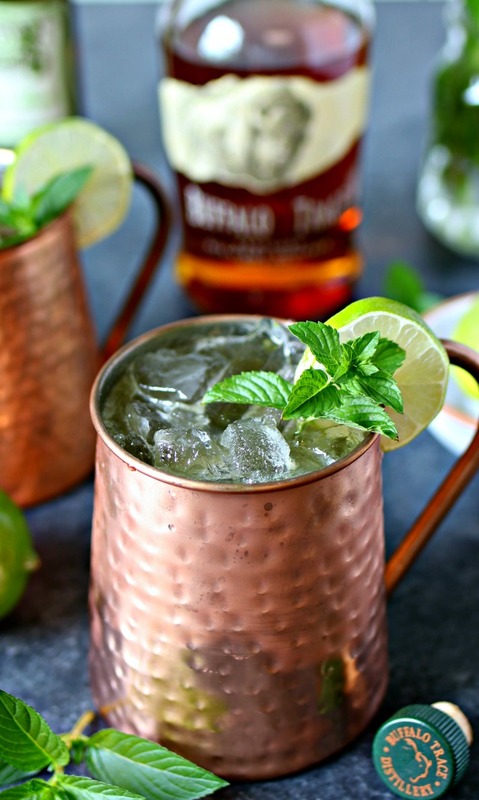 The Bourbon Moscow Mule, also known as a Kentucky Mule is so fresh and delicious. It’s such an amazing twist on the Classic Moscow Mule! 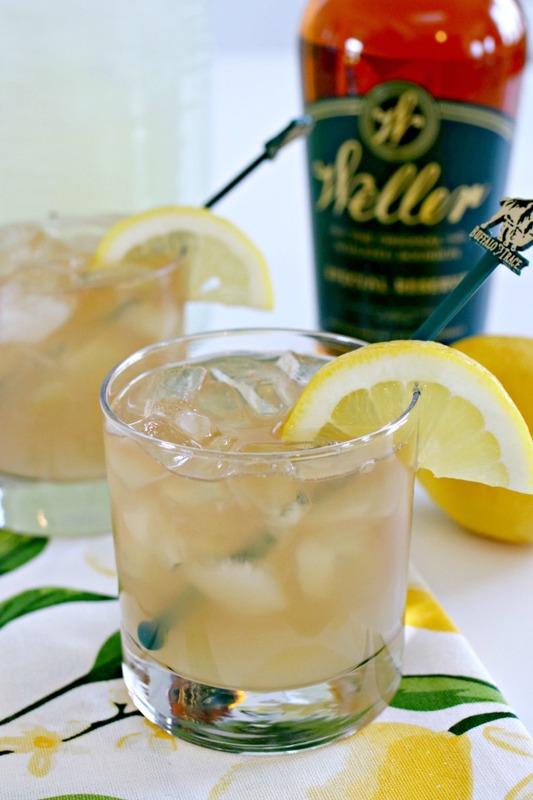 Another delicious bourbon drink is one of our favorites, Kentucky Lemonade! It’s so refreshing! 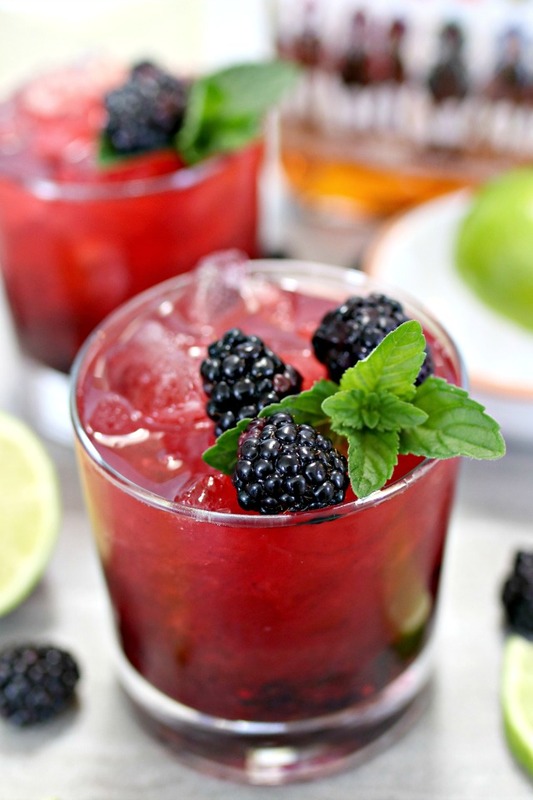 This Blackberry Bourbon Smash is easy to make, but tastes like a million dollars! Just grab some fresh berries and enjoy!